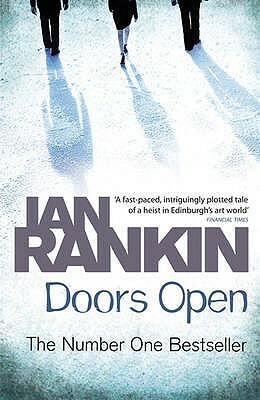 I’m a big fan of Ian Rankin and was intrigued to read a book that doesn’t feature his established characters. In the story, Mike Mackenzie is a very wealthy and very bored self-made millionaire who is looking for something to excite his life and give him the buzz he used to get from business deals. He also has a love of art and he thinks that he has stumbled across the ‘perfect crime’ with two of his good friends when they devise a, seemingly effortless, way to steal from the National Gallery of Scotland. Despite recently having his nose put out of joint by his superior officer, Ransome is a very likeable Inspector who stumbles across the Mike Mackenzie while he is on the trail of a known villain and he soon realises that there is more to the situation that meets the eye. I found myself very quickly drawn into the lives of Mike and Inspector Ransome; Ian Rankin is exceptionally good at bringing people to life on the page. The overall story line was good, the concept of the heist was pretty clever and the way the story turned out in the end worked well. A lot of books have very weak endings (which drives me mad) but I thought the ending of this one worked well. Overall, a good book and I enjoyed it.